The eldest daughter of Albert and Emma Timms,Flora Jane Thompson was born in the tiny Oxfordshire hamlet of Juniper Hill, near Brackley, on 5th December 1876. She attended school in the neighbouring village of Cottisford. After leaving school at fourteen, and moving away from home, for the first time, she worked as a post-office clerk at the Fringford post-office. After four years she left Fringford, and took a number of short holiday-relief engagements in various rural post-offices, then applied for and got the job of assistant at the Grayshott post-office, in Hampshire. There, in due course, she met her future husband John Thompson,himself a post-office-clerk who later became a postmaster. In 1903 John Thompson was transferred to the main post-office in Bournemouth, he and Flora were married and began life together in this large sea-side town. Flora was then twenty-six. The Thompsons remained in Bournemouth for thirteen years, during which time their two elder children, Winifred and Basil, were born. In 1916 they moved to Liphook in Hampshire, and a younger son, Peter was born a year later. They lived in Liphook for twelve years, until another, and final posting for John Thompson took them, in 1928, to Dartmouth, where they remained until his retirement in 1940. 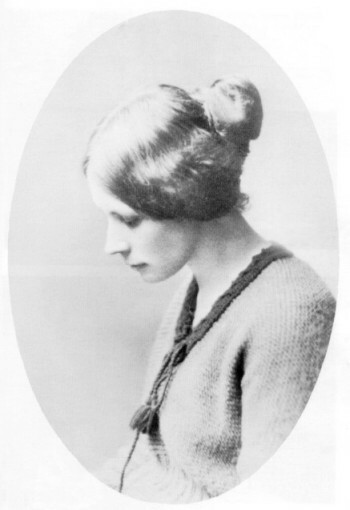 In the early years she supplemented their meagre income with journalism, writing nature essays for The Catholic Fireside, the Daily News, The Lady, and other papers, and in 1921 she published a volume of verse, Bog-myrtle and peat. She is remembered for her autobiographical trilogy Lark Rise to Candleford (1945), published originally as Lark Rise (1939), Over to Candleford (1941), and Candleford Green (1943), works which evoke through the childhood memories and youth of third-person 'Laura' a vanished world of agricultural customs and rural culture. There is a selection of works by Margaret Lane, A Country Calendar and other writings (1979), with a biographical introduction. Flora Thompson died on 21 May 1947, and was buried in Dartmouth. © Margaret Drabble and Oxford University Press. 1995.